« Talk NFL Raiders Football 24/7 At GridironChatter.Com! According to a report by the San Antonio Express News, three Oakland Raider executives, including owner Mark Davis, met with several San Antonio officials on July 18 to discuss the possibility of relocating the team to the Texas city. The supposed meeting that reportedly lasted two or three days, was spearheaded by former San Antonio mayor Henry Cisneros, who is said to have been the “architect” of the meeting, and involved a tour of the Alamodome and an aerial tour of the city. 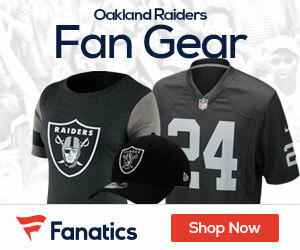 The Raiders lease at their current stadium, O.com, expires at the end of next season. That being said, the Major League Baseballs Oakland A’s, who share the stadium with the Raiders, just signed a new 10 year lease at O.co that accounts for the possibility of building a new football stadium for the Raiders. According the the Express News, there are several “major hurdles” that would need to be cleared even if Raider’s owner Mark Davis decided he wanted to move the team.. Any team that wants to relocate needs the approval of 24 of 32 of the leagues 32 owners. That alone would be a tough sell considering that San Antonio is the 37th largest media market and Oakland is the 6th. That would be a major hurdle for the Raiders to move away from Oakland. These reports of the Raiders moving from Oakland may all just be a smoke-screen that Davis is using to try to pressure the city of Oakland to build a new stadium for the Raiders. According to Greg Aiello, the NFL’s Senior VP of Communications, the league has not received any application for relocation from the Raiders, and does not see any indication that the NFL will be receiving one from Davis any time soon. Of course any discussion of an NFL team moving from it’s present location also brings into play the city of L.A., which the NFL desperately wants to have a franchise of their own.. Maybe the NFL can talk Gene Simmons and Paul Stanley of KISS to apply their arena football team for inclusion into the NFL?? Stay tuned to www.raidersgab.com for more news of this possibly developing story..
As a resident and homeowner in Oakland since 1986, I am constantly wondering where all the money goes…. As the sixth largest media market, with the most devoted fans in sports, one would think that the City of Oakland would be doing backflips to put our 3 fantastic pro sports teams on the map. My God, look at what all 3 of these teams have done with so little to work with. And now, sadly the Warriors will be vacating the Biggity O for SF, the A’s just signed on to stay in this cesspool of an arena and the Raiders, emblematic of legend and football itself, are still standing around with their dicks in their hands. Thanks a lot Oakland!!! Let me just say that a City that somehow can’t manage to spare the resources to respond to a 911 call from a resident who pays $12,000 in property taxes per year (or any resident) is not likely to pull it together to get the Great Raiders franchise the kind of facility it deserves.